The Trump administration has proposed raising the minimum amount of content sourced from within NAFTA countries to 85 per cent, up from 62.5 per cent. 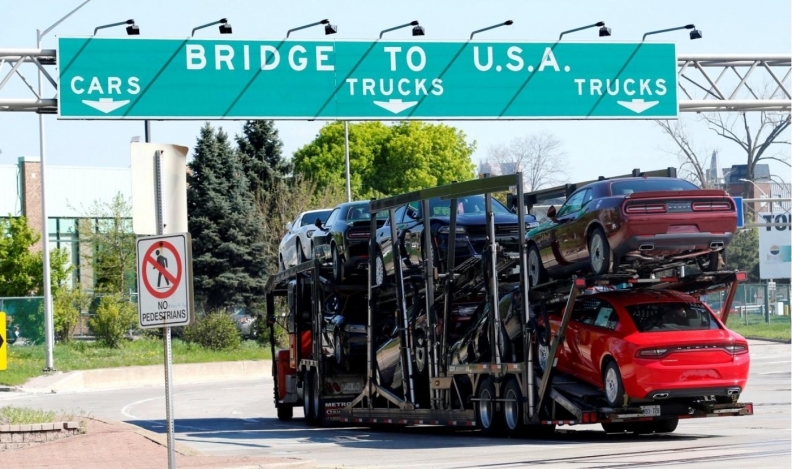 MONTREAL — Canadian auto officials were cautiously optimistic Saturday that progress could finally be made on the North American Free Trade Agreement’s automotive rules of origin, a key provision that has been a stumbling block in previous rounds of renegotiation. Canadian trade officials this week laid out a framework for rules of origin, used to determine the amount of North American content in light vehicles, that would include the value of software, engineering and emerging technologies. Such a proposal would increase the percentage of vehicle components determined to have originated in the United States, a key priority of the Trump administration. While officials and auto executives were hopeful the proposal would allow talks to progress, it likely will not become clear if that is the case until Monday, when U.S. Trade Representative Bob Lighthizer is likely to discuss the proposal with his counterparts in Canada and Mexico. The optimism comes just a day after Mexico hinted that an additional round of talks could be added. Flavio Volpe, president of the Automotive Parts Manufacturers Association, said the Canadian proposal would help address demands from the Trump administration that more of the content in vehicles built in North America be sourced from the United States to qualify for tariff exemptions. The Trump administration has proposed raising the minimum amount of content sourced from within NAFTA countries to 85 per cent, up from 62.5 per cent. He also wants a 50 per cent American-made requirement, which the auto industry and Canadian trade representatives have viewed as untenable. U.S. President Donald Trump has blamed NAFTA for a decline in U.S. manufacturing jobs since its enactment. The sense of cautious optimism stands in contrast to previous rounds of negotiations, which were marked by a lack of significant progress on a host of major issues. To be sure, negotiators are far from reaching any sort of framework for a final deal. Most major issues, such as automotive, dairy and a proposed “sunset clause,” have yet to be settled, and uncertainty remains about what Lighthizer and the White House think of the Canadian proposal and about what Trump might say about NAFTA during his State of the Union address next week. Should the three countries agree to the framework Canada laid out on rules of origin, Volpe said it would be crucial for Canadian suppliers to reach out to the negotiating teams between rounds to sort out details regarding the value of different components on content. Lighthizer, Canadian Foreign Minister Chrystia Freeland and Mexican Economy Minister Ildefonso Guajardo will hold a news conference on Monday to discuss the next steps in the renegotiating process. In remarks to Reuters, Verhuel said Canada has “demonstrated we have engaged” on major issues. “We’ve made progress on some of the smaller ones, so I think [it was] not a bad week,” he said.